A permit is required for a variety of building, electrical, plumbing and heating/ventilation/air-conditioning projects. Please contact a Village inspector to discuss permit requirements and fees. The building and HVAC inspector is Al Kosterman (262-989-9215), electrical inspector is Gregg Hansen (262-977-0488) and plumbing inspector is Rick Herman (262-498-3191). Please note that although contractors are usually hired to complete the work, it is ultimately the homeowner’s responsibility to ensure that permits were properly obtained prior to starting the work. The fees are doubled for permits obtained after work has started; work conducted without permits may be subject to forfeiture. Download permit applications on the Licenses & Permits page. Submit applications and fees to the Village Office at 215 E. Four Mile Rd., Racine, WI 53402. A stamped, addressed envelope must be included with mailed submissions for return of your permit placard. When work is complete, contact the inspector to schedule the inspection. The table below is intended to serve as a guide for when permits are needed for home projects in Wind Point. It is not a comprehensive list and there may be certain conditions within a given project that cause a permit to be required. Note that in certain instances when a Zoning Permit is needed there may also be a Conditional Use Permit requirement. 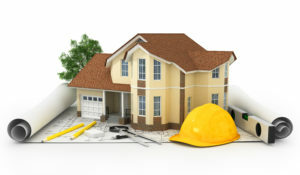 It is best to contact the Village Office or one of the inspectors during the planning phase of the project to determine what permits will be needed. Addition to 1 or 2 Story Home Yes Architectural Review, Zoning and Building Permits required. May also require Electrical, Plumbing and HVAC Permits. Air Conditioner Yes HVAC and Electrical Permits required for new and replacement units. Alteration/Remodel of 1 or 2 Story Home Yes Building Permit required. May also require Architectural Review (exterior), Electrical, Plumbing and HVAC Permits. Alternative Energy Systems (solar, wind, etc.) Yes Architectural Review, Zoning and Electrical Permits required. May also require Building Permit. Cellular Telephone Antenna & Other Transmitters (like outdoor TV Antenna) Maybe Zoning and Electrical Permits may be required. Contact zoning administrator. Chimneys – New Yes Building Permit required. Chimneys – Repairs Maybe Contact building inspector. Deck – New Yes Zoning and Building Permits required. Deck – Repairs Yes Building Permit is required, except for replacing deck boards only. Demolition Yes Building Permit required. Dishwasher – New or Replacement Yes New and replacement dishwashers require Plumbing and Electrical Permits; repairs do not. Door – Interior or Exterior Maybe Building Permit is required for new doors and replacement doors if changing the size of the opening. Driveway – New or Replacement Yes Right-of-Way Permit required; repairs or sealing do not require permit. Ductwork Yes HVAC Permit required. Electrical – New Yes Electrical Permit required for installation of new wiring, switches, receptacles, services, fixtures and certain appliances. Electrical – Repairs Maybe Electrical Permit not required for minor repairs and maintenance to switches, receptacles and fixtures costing less than $500 for parts and labor. Erosion Control and Grading Maybe Zoning Permit may be required for earth moving activities within shoreland zoning district (contact zoning administrator). Fence – New or Replacement No Fences must comply with height requirements. Foundation Repairs Yes Building Permit required. Fireplace Yes Building Permit required for new; repairs may not require permit. Furnace, Boiler, Heat Pump Yes HVAC and Electrical Permits required. Garage, Sheds and Other New Structures (over 36 sq. ft. of floor area) Yes Architectural Review, Zoning and Building Permits required. Concrete slab required for all accessory buildings. Garbage Disposal – New or Replacement Yes Plumbing and Electrical Permits required; repairs do not require permit. Light Fixtures Yes Electrical Permit required for installation of new fixtures; no permit required for replacement of lamps. Planting New Tree/Shrub No Cannot be planted in public Right-of-Way without permit. Check with homeowners association, if applicable. Plumbing – New Yes Plumbing Permit required for new piping and related fixtures/appliances. Plumbing – Repairs Maybe Plumbing Permit required for removing and replacing any concealed trap, drainpipe, water, soil, waste or vent pipe. Pool or Hot Tub Yes Building, Plumbing and Electrical Permits required. Zoning Permit required for pools. Porch – New Yes Building Permit required. Architectural Review and Zoning Permit may be required. Portable Devices (i.e. washing machines, electric refrigerators or similar devices not permanently wired). No However, Electrical Permit is required for proper approved wiring together with approved receptacle and plug. Retaining Walls Yes Building Permit required. Roof – New or Replacement Yes Building Permit required; repairs under 100 sq. ft. do not require a permit. Sewer – Sanitary or Storm Yes New connections and piping require Plumbing Permits. Contact Caledonia Utility Districts for sanitary sewer connections. Siding – New or Replacement Yes Building Permit required. Sinks – New or Replacement Yes Plumbing Permit required. Toilet (Water Closet) Maybe Plumbing Permit required for new toilet; permit not required for removal and reinstallation, providing it does not involve the replacement or rearrangement of valves, pipes or fixtures. Water Heater – New or replacement Yes Plumbing and Electrical Permits required. Windows Maybe Building Permit required for new windows and replacement windows if changing the size of the opening.